Embark upon a deeper journey into your yoga practice with Pranamaya’s Certification Tracks. Our carefully curated collection of programs offer the opportunity to take your education to higher levels in the specialized areas of your choosing. Whether you’re a new teacher looking to get started, or a seasoned yogi seeking additional hours of training, you’ll find the track that’s right for you. Qualify for Continuing Education Credit with Yoga Alliance when you complete any of the following online courses with Pranamaya. At the completion of the course, you will receive a certificate of completion from Pranamaya for your CEU credits. Are you the owner of a yoga studio? You can use any of these courses as non-contact hours in your Yoga Teacher Training Program. Just email us at contact@pranmaya.com for more information. Yin Yoga Certification: Coming February 2019. Get on the mailing list for latest updates! 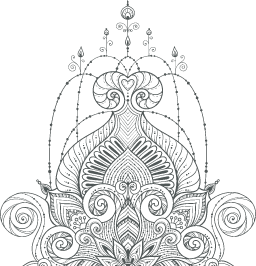 Yoga Nidra Immersion: Get on the mailing list for latest updates! Meditation Teacher Training: Get on the mailing list for latest updates!